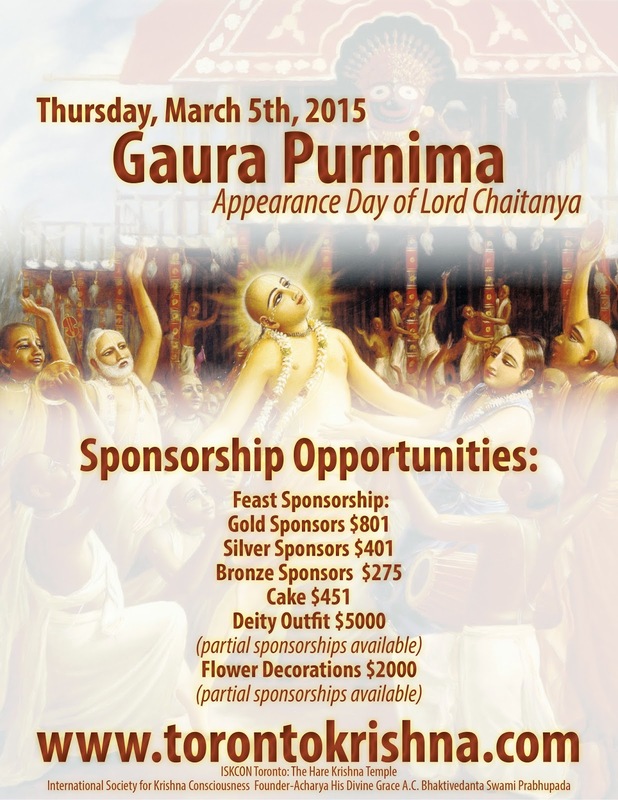 Gaura Purnima Festival - Thursday, March 5, 2015 ~ The Toronto Hare Krishna Temple! The Toronto Hare Krishna Centre would like to warmly invite you to join us for grand Gaura Purnima Celebrations on Thursday, March 5, 2015! There will be festivities throughout the day, starting early in the morning at 4:30am! We encourage everyone to start this auspicious day on the right note. We will continue with bhajans (singing) at 3:00pm dedicated to the glories of Lord Chaitanya, which will flow right into the rest of the evening program. 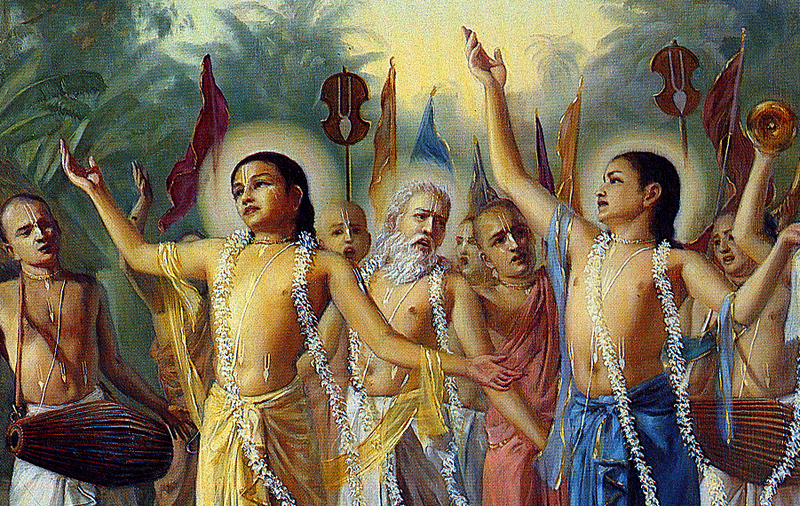 who will lead the kirtans and the who is giving the lecture? That's odd that prasadam will be ekadasi standard. Is there a reason? In the past I remember always having cake! !